– pays attention to details like how many times the guitarists are swapping acoustic/electric/mando/etc. We made a last-minute decision to run Hey Jane fully unplugged, and then to use the last chord of Jane (D) ringing in our ears to launch straight into the a capella lead-in vocals for I Know You Rider. Out of Rider we agreed last-second to swap LWE and Grandma’s Place to keep the mandolin in Ted’s hands. Later in the set, it felt better to run Hunger Strike after Hallelujah and then we followed an instinct to skip When I Leave and instead jump into Feelin’ Alright before closing with Can’t You See. ++ RIP Chris Cornell. You will be missed. The founder of a company I once worked for shared something many years ago: Make time to find the things that you are passionate about, and do those things. Start now. Don’t squander your time trying to figure it all out – go do the things you’re passionate about, and others will do the same about things THEY are passionate about. Together, we’ll cover the bases. Two recent gigs contrast in my mind. Don’t know what the experience was for the people in the crowd – we had several friends come to both performances – but for me there was a pretty stark contrast and I’m still not completely sure what was at the core. Our gig at the Laughing Goat on January 13 was great energy and super fun. Our gig at the Jamestown Merc on February 18 was no less prepared, but something on stage amongst the 7 of us felt off base. About halfway through the gig at the Goat, Phil dropped a wink and a smile and I could tell we were all clicking, all having fun. About halfway through the gig at the Merc, Phil spoke to us through the stage mic (where only we can hear each other) and encouraged us to “relax, just chill and be ourselves”. I think we all felt it, and even though things got better after Phil’s advice (at least for me they did) , I’m not sure we ever fully recovered. I’m still not at the heart of what happened that night, or what went well at the Goat to make the energy so palpable. Was it the size of the crowd? Our ease or difficulty of setup? How many drinks we had in us? Which song we started with, or not enough covers, or too many covers? Alas, there may be no answer. I know we’ve had AMAZING gigs at the Merc in the past, and disappointing gigs at the Goat, so it could just be the luck of the draw. I’m sure we will process it together as a group so we can maximize chances in the future of having more of those AMAZING experiences. At that same time, I think it’s ok to have a dud once in a while. It reminds me that sometimes things work, and sometimes they don’t, and the important thing is to stick with it, not get too hung up on it, and hang together with each other. It’s all part of the ride. Baby Hold On Why You Been Gone So Long? In the meantime, here are some New Years Day thoughts about how music, and all art in general, meets three primary human longings. First, we as humans long for community. We long to share our experiences with others and hear about theirs. There is a certain validation that we are not alone, that we are good, that we are capable and worthy of each other, when we come into community with others. Gathering together to enjoy music together, no matter which side of the stage I am on, inevitably satisfies this longing. Second, we are an inherently creative species. Whether your expression is of an ilk commonly thought of as “artistic” (music, paint, culinary, sculpture, cinema, etc) or of other means (business, team building, teaching, problem solving, sales, finance, coaching, and 1,000 other ways to express your creative self) we all have an intrinsic energy to innovate. 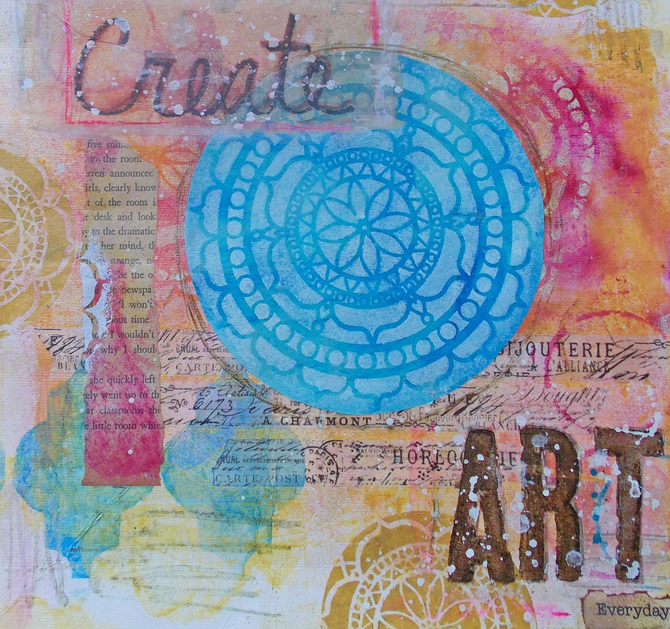 Sometimes this is a personal process, yet there are times we come together with others to cultivate our creative expressions. Finally, a third human longing that is satisfied through artistic expression is simply: love. To give and receive love. It is such a powerful way to express our care for one another – supporting and collaborating in the creation of something new. These three longings are satisfied each time I take my place behind the keyboard as a musician. I strive to be my best, technically, but underneath is a simple need to satisfy these longings. And a father. Brother. Son. Student. Friend. Blog-writer. Community member. Farmer’s Market attendee. Cubs fan. Broncos fan. Mountain climber. Bike rider. And on and on. All the different ways and places I join together in community with other people. I’ve learned the most enduring, most memorable events in my life happen in the context of doing something new, something creative with other people. I haven’t found a better narrative to describe what brings me back week after week, year after year, to spend my precious energy and time with Zen Mustache in this crazy creative music experience. I haven’t found a better explanation for why I’m so passionate about building great teams in business. Business is an art, after all, and discovering / cultivating / learning / solving / helping / being with others in the art of business satisfies all those human longings. Whatever your artistic expression is, I can’t wait to see you out there doing your thing in 2017. 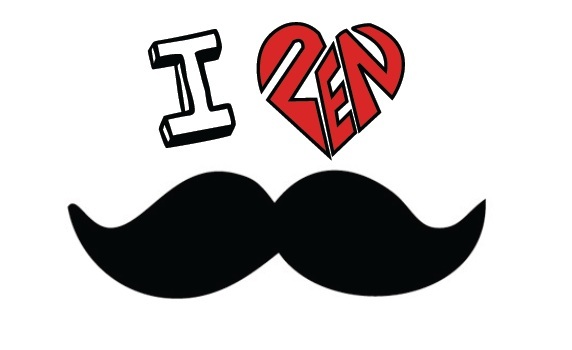 Zen Mustache will most certainly be doing ours! Damn. At the Laughing Goat last Friday I was reminded how quickly circumstances can change, and how easy it is to hurt the people we care about. Despite my innate wiring to build up and never tear down, and though I had no ill intentions, I still managed to hurt a friend, a dear friend, at this show. The juxtaposition of musical revelry and painful feelings leaves me in a place of melancholy introspection. The music itself was wonderful that evening. Joshua Powell opened with a reflective and emotive set. As we took the stage, within the first few songs we developed a palpable dynamic energy with the close-in crowd. We could all feel the power of the moment, especially Ted who was all smiles. If I was Albus Dumbledore I couldn’t have conjured a more relaxed yet tight musical experience that night. 1. Be impeccable with your word. (As from the Four Agreements). This is much more than simply telling the truth. It means to speak with integrity. To say only what you mean – to not say things that are not in alignment with your feelings or intentions. Use the power of your words in the direction of truth and love. 2. Be present in this moment you are experiencing. It’s the only one that is real, and it will be gone soon. So make sure it counts. Step: On May 21st the Upslope Get Down was a crazy-fun party on the loading dock behind the Upslope Brewery in Boulder. I personally felt comfortable out in the (hot!) sunshine; however as a band we agreed our performance wasn’t as tight as we would’ve liked. The 12 other bands were outstanding and I want to give a special shout out to Punch Drunk Munky Funk – they shredded it! Step: One June 4th the Chalk Art Festival was a celebration of street-smart artistry and creativity. We had our best performance of the three weeks, and we couldn’t have been gladder to be part of the lively scene at Larimer Square in Denver. Powerful stuff is this music thing. There’s a TED talk by Benjamin Zander that grabs me. Zander is on a mission to make classical music more accessible to everyone in the world – to help everyone experience the beauty in something he cherishes. It’s an inspiring talk and includes a magical piano performance – and then toward the end Zander shifts gears slightly and asks us to consider a remarkable question: What are we doing to make “shining eyes” in the people around us – our friends, children, coworkers, family, strangers. He suggests we measure our success in life by the number of shining eyes surrounding us. I heard a quote recently that we are what we love. Whatever it is that we love, that is what we are. I love music. And I love community. I seek those experiences of community-building that happen when people dance, sing, play, and join together with each other despite differences. I think I understand now. In those fleeting moments, if we on stage play from a place of honesty and goodwill and expressive fun – then all our eyes are shining. Thank you Boulder County Farmers Market! We appreciated joining you for a Saturday filled with fabulous sunshine, friendly food vendors, and a relaxed farmers market scene. We had some concerns how rusty we might be on stage since we’ve been focused these past months on writing new music, not performance. We needn’t have worried! Our fingers found the notes. Ted did a great job setting the sound levels. We all dropped into a comfortable groove. Best of all the bustling market of families and neighbors helped us along with plenty of dancing and attentive smiles. One highlight of the day was inaugural performances for two new songs ‘When I Leave’ and ‘Go On Living’. Excited to work some new material into the set – more on the way soon! Something about performing music always brings me precisely into the present moment. There’s a difference between expectation and experience. Expectation is what we hope for, what we long for. Experience is what’s actually here. Letting go of expectation so we can stay focused in the present, is the path to happiness. Music does that. 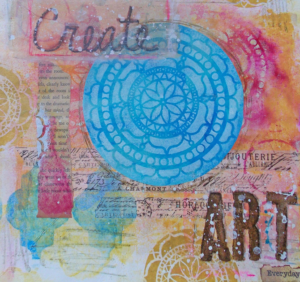 Dance and painting and sculpture and other art forms are all expressions of letting go and staying present. Another activity I’ve discovered keeps me precisely focused in the present moment is rock climbing. Even mountaineering and snowboarding, which are inspiring and challenging, leave space with my thoughts to contemplate and build expectations. But music and rock climbing are activities that take me to a place where there is nothing but the notes, or the rock problem, or the vibe with the crowd, or the euphoria of completing a pitch. In the space where my expectations and longings have vanished, and only the present experience fills my mind and senses, those are my happiest moments. The Laughing Goat in Boulder has had some recent face-lifting. Improved seating to make the performance area even cozier than it had been; new copper water faucet, stylish and functional yet still tucked out of the way at the end of the bar; an upgraded 12-channel mixing board is a godsend for larger acts like ours that barely scraped by with the 6 or 7 channels on the previous system. 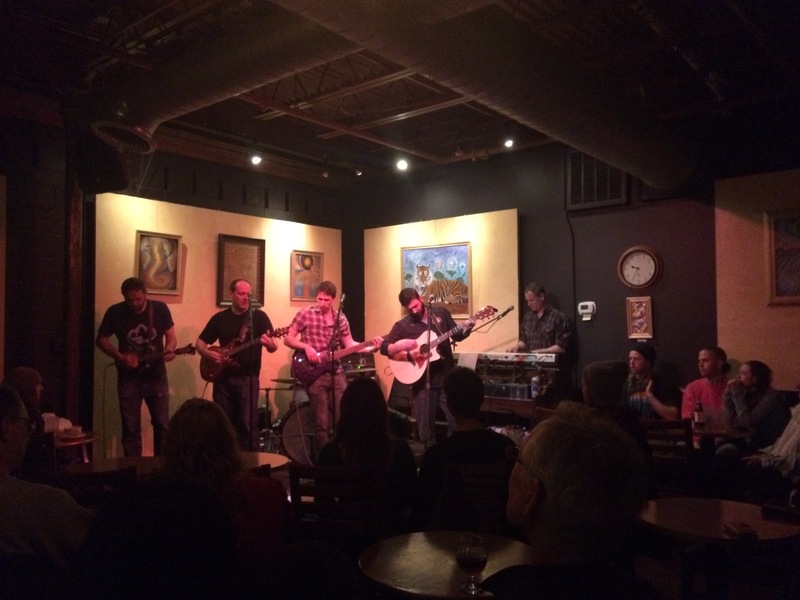 Our performance last night at this classic Boulder coffee shop benefited from all these nuanced improvements but one thing was unchanged: fantastic energy in an intimate performance venue that continues to support independent local music. So grateful for the ongoing opportunity to be part of this scene! 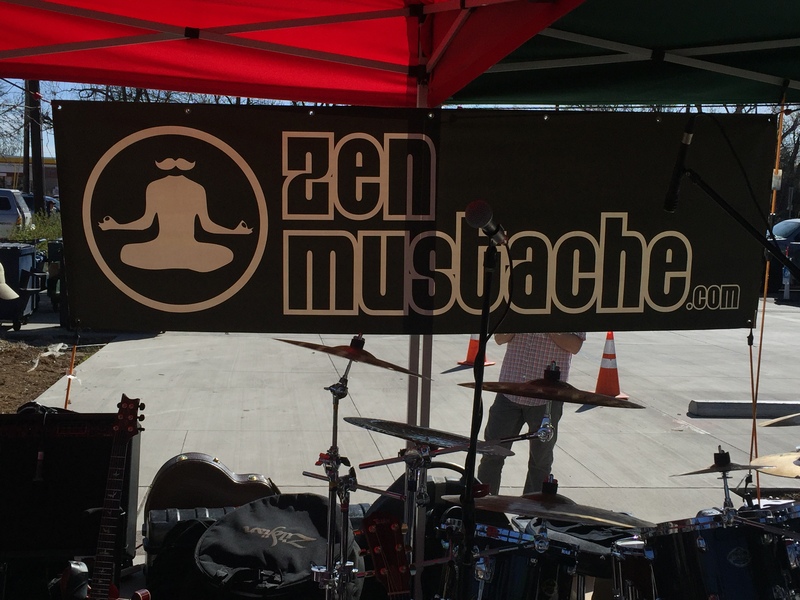 Speaking of independent local music, the artist who performed before Zen Mustache was truly entertaining and worth checking out. Brodie Kinder lit up the stage with his expressive singing, clever songwriting and engaging audience banter. My fav was a tune called Switch that maybe was an existential reflection on having a temper? Anyway, we are now fans of Brodie and his accomplice Melianie Jean. Hope to share the stage again with them sometime! 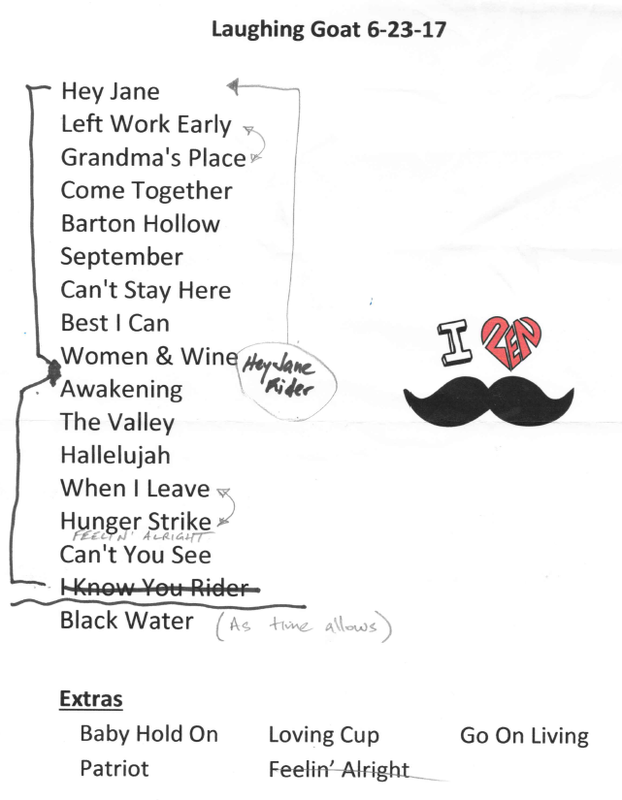 Here’s the set list from last night. Leaning heavier and heavier toward our originals – gotta love that. Speaking of new originals, we will be spending the coming months in the studio recording several tunes for an upcoming EP. Can’t wait to share that with all of you! Have a great winter-into-spring and we will see you out and about soon! ## First time bass solo intro blew a hole through the roof of the Laughing Goat; yeah it was epic. Great weather and fantastic outdoor energy the past two weeks! On and off stage was all terrific fun at the Fall Fest in Boulder and yesterday’s Oktoberfest in Denver. Felt great to reconnect with some old friends (April and Travis!) as well as out-of-town family (Masons! Martens!) and many new friends we met for the first time. We were honored to share the stage with Jeff Brinkman who with his cellist demonstrated how to make a big outdoor space into an intimate performance venue. And yesterday the guys from Knight Groove cooked up a sizzling set that set an upbeat and playful tone all afternoon. Dang, I love being part of this incredible regional music scene. Thank you to everyone who came out and supported us. Next up we’ll be in Longmont at the all-new Skeye Brewery on October 30. Promises to be a perfect start to the Halloween weekend – see you there! Mud, costumes, beer and music. It was all there in Nederland this weekend. Show up and it felt like being surrounded by a thousand of your closest drinking buddies. Men and women, adults and children graced the grounds at Frozen Dead Guy Days, and we were thrilled to be part of the scene. Many thanks to Amanda, Bruce, JB and all the rest of the workers and volunteers who made the scene extraordinary! 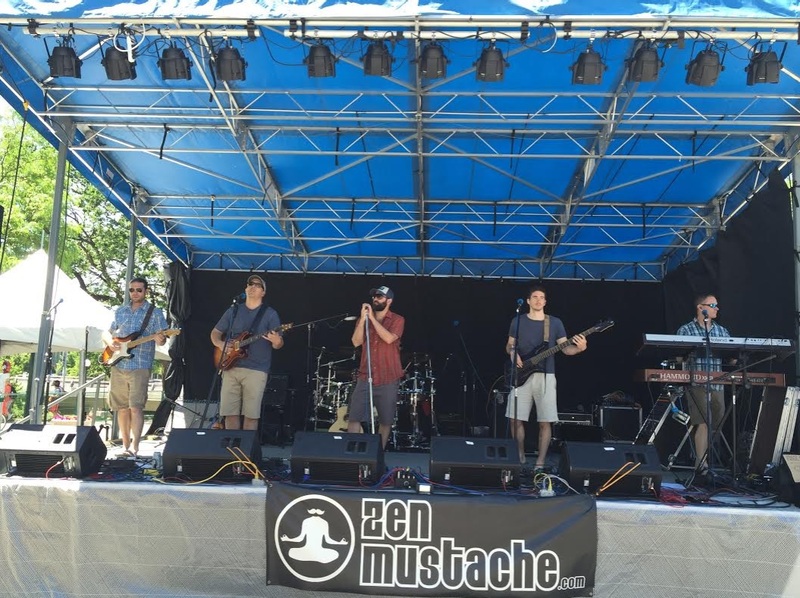 Last year after Zen Mustache’s first appearance at Frozen Dead Guy Days, I wrote a salute to Grandpa Bredo, attempting to articulate the friendly and spirited mountain vibe that is his legacy in this grooving mountain town. Not sure my literary efforts can measure up. We were invited to participate again in this year’s merriment, perhaps in no small part because the organizers leveraged our namesake for their 2nd annual Mustache and Beard Contest. Whether they wanted us back for our name or our music doesn’t matter now; we found ourselves overwhelmed by the packed-beyond-capacity tent full of Dead Guy party people who dished back in spades each ounce of energy we pushed through the sound system. I’ve written before about the power of the audience, and yet it’s a new rush each time we hit that stride with the crowd. Wowza! Almost more fun than we could handle this weekend at the Laughing Goat. Definitely our favorite intimate Boulder venue, where we get to unplug a bit and push out semi-acoustic versions of our tunes. Mix in a celebratory atmosphere for Phil’s birthday and the general cool vibe of the Goat itself and voila! a night full of great energy. Wonderful seeing many friendly ZM fans and even had a few new folks who introduced themselves after the show. Great night! We’ve been a bit sparse on performances lately – focusing on our studio recordings (check ’em out here). We’ve done that purposefully and for me personally I’ve missed the live performance. Not unexpected, but still stark in my mind, is the realization when it’s something that feeds the soul, even if you intentionally turn away from it for a bit, that thing you love never diminishes. Sure, it may feel far away or off to the side for awhile but it doesn’t fade or wither. Friday night I was reminded of that in a rush of experiences. There’s nothing better than getting on stage with a bit of a plan but in the moment just winging it, recognizing there is no safety net and plunging in anyway, feeling connected with people both on and off stage, coming out on the other side unsure exactly how you got there. In the end, a bit like the stage of life, what matters is giving 100%, sticking with it no matter what happens, playing hard and with honesty, and pursuing epicness each step of the way. Give me another night on a stage with my friends, playing music in a room full of terrific people. I’ll take that every night of the week!